Most of our true big wave guns are custom, and the variations between gun models have been developed and refined with the crew for very different conditions. 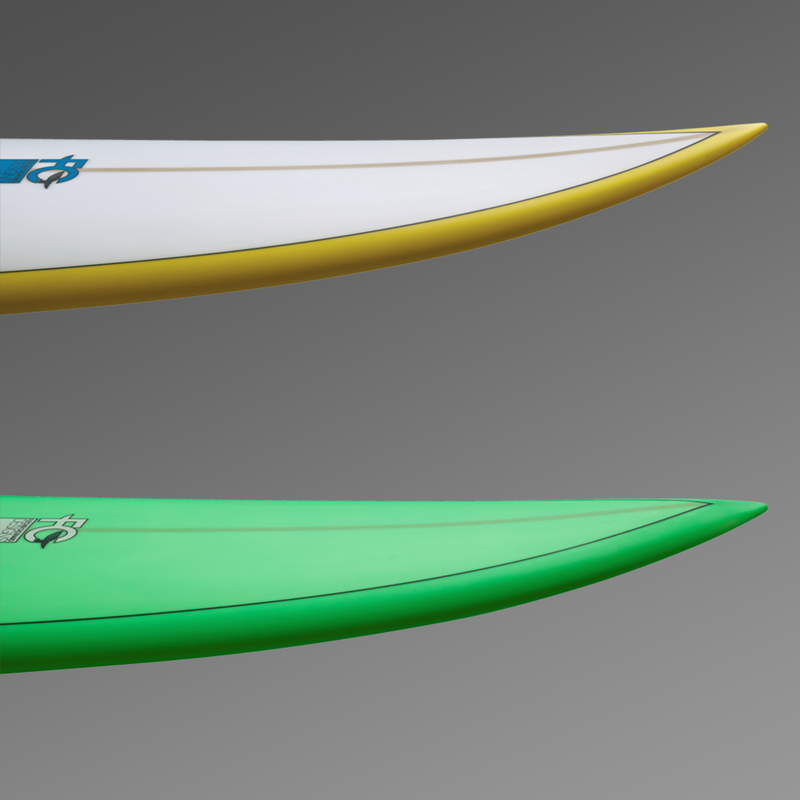 8'6" x 20.1" x 3.11"
10'10" x 21" x 4"
To order a gun, please contact us here and let us know where you surf - we want to make sure you receive the best possible rocket ship for your home big wave spot. Where will you be surfing your gun? If you currently own a gun or step up, describe its shape and size. Briefly describe your favorite experience in large surf. Thank you for contacting FCD for a custom gun. We will consult with Fletcher on shape and size and get back to you within a few business days!